We are glad to host on our blog the best-article-ever that anyone working in this industry can use to explain to friends and family what the cloud really is, using a cool analogy. Thanks Tom for giving permission to post this article. Software as a Service (SaaS): Anytime you want coffee, it just appears in front of you. You don’t have to make it or anything. Sometimes it shows up immediately. Other times it shows up an hour or so after you wanted it. You pay a monthly fee, but if you want to have cream or sugar you have to pay a bit more. Some SaaS coffee vendors don’t have those options, so you’re stuck with whatever you get up front. Platform as a Service (PaaS): You’ve decided that you want to have coffee, but you want a bit more control over it. You sign up for a new service that gives you coffee packages. Dark roast, light roast, and Turkish coffee are all options. You are still at the mercy of the provider for other options like latte or cappuccino. It is still mysteriously delivered to you. Cream and sugar are options in each of the packages for a small fee. Coffee can still show up late, but you have an agreement with the provider that late coffee gets you a small amount off the monthly bill. Infrastructure as a service (Iaas): You’ve now decided that you want complete control over your coffee delivery. You’ve contacted a new provider that is willing to rent you a coffee machine with all the extra hardware needed to make any kind of coffee you want. You’re going to have to buy your own coffee and creamer and sugar. Once you have it at the coffee machine, they’ll make the coffee to your exact specifications and send it to you. Might still show up late depending on how popular the service is or if some technician accidentally restarts the machine on a Friday night. You get charged either by the cup or by how often the machine is used. Coffee still tastes okay but you have to worry about renting more machines as it becomes more popular. Machine rental rates fluctuate if you use the Spot Machine market. Private Cloud: Okay, forget about the whole renting thing. Time to go to the coffee warehouse and buy everything yourself. You max out your credit card, but you come home with a coffee machine and a milk steamer. You still provide everything yourself. You find a place to hook everything up with electricity and water supply. You grind the beans yourself. You make your own coffee or you hire a barista to do it for you. The coffee is excellent and on time. Your credit card bill scares the daylights out of you. In three years, you have to upgrade your coffee machine again to support hyper foaming milk. 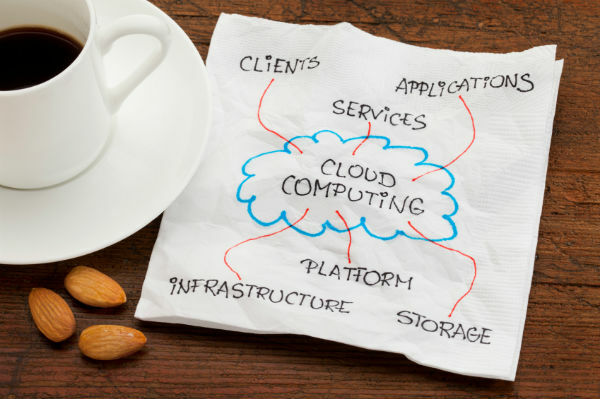 Hybrid Cloud: You can make the basics with your machine. You still can’t figure out how to make a good cappuccino. All the easy stuff gets made locally by you or your barista. For the really odd stuff, like double shot mocha light frappuccinos you send people to the Starbucks down the road. Cloudbursting: Your fancy coffee machine is really popular around the office. About once a month, there’s a line that’s 50 people long. Rather than making them wait for their coffee, you pass out Starbucks gift cards for anyone over the 35th person. You send them off to get their coffee. You can justify the gift card cost because you’re only busy that one time a month. I’m always open for suggestions in the comments below. Tom Hollingsworth is a network engineer based in Oklahoma City, OK. He is a Cisco partner engineer and is a voice/routing/switching/security nerd. Also known to dabble in virtualization, surveillance, and video. Tom also likes to takes tests. A lot. Tom is a CISSP, CCNA, CCDA, CCNP, CCDP, CCVP, CCSP, CQS: Unity Support & Design, CQS: Rich Media, CQS: UCCX, CDCNISS, MCSE 2000: Messaging & Security, Novell Master CNE, HP Procurve Master ASE: Convergence, A+, Network+, Security+, Linux+, Project+, and VMWare VCP. He also enjoys other nerdy pursuits like video games, comic books, science fiction movies and books, and arguing about which captain of the Enterprise was better.